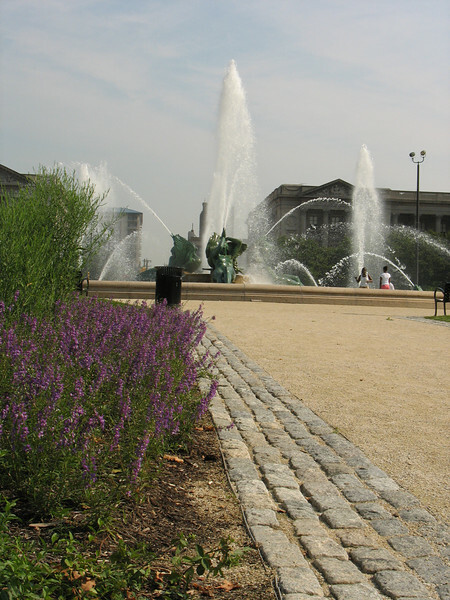 In 1993, $1,689,000 in federal TE funds with a $422,000 local match helped construct pedestrian and bike path improvements along Logan Circle in Philadelphia, PA.
Logan Circle is one of Philadephia’s original planned squares, and is the anchor of the Logan Square neighborhood. The stunning Swann Memorial Fountain is located in the center of the square. Thanks to TE, this historic amenity is now accessible to pedestrians, rather than sealed off from the public by a ring of moving cars.